Central Railway Recruitment 2017 – Apply Online for 2196 Apprentice Posts :- Railway Recruitment Cell, Central Railway, Mumbai has issued notification for the recruitment of 2196 posts of Apprentice in various trades under the Apprentices Act 1961. Interested & eligible candidates can apply online through official website of Central Railway. Online Application Process has started from 01/11/2017 and the last date for submission of online application is 30/11/2017. Age Limit: The candidates should have completed 15 years of age and should not have completed 24 years of age as on 01/11/2017. Upper age limit is relaxable by 05 years in case of SC/ST candidates, 3 years in case of OBC candidates. Application fees (Non – refundable) : Rs. 100/ – No fee is required to be paid by SC/ST/P WD / W omen candidates. Commencement of Online Application : 01/11/2017. Last Date of Online Application : 30/11/2017. How to Apply: Interested & Eligible Candidates can apply online through http://www.rrccr.com from 01st Nov 2017 to 30th Nov 2017. 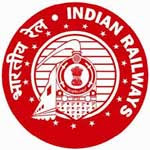 Subscribe our Free Job Alert Mail Service for Central Railway Recruitment 2017.